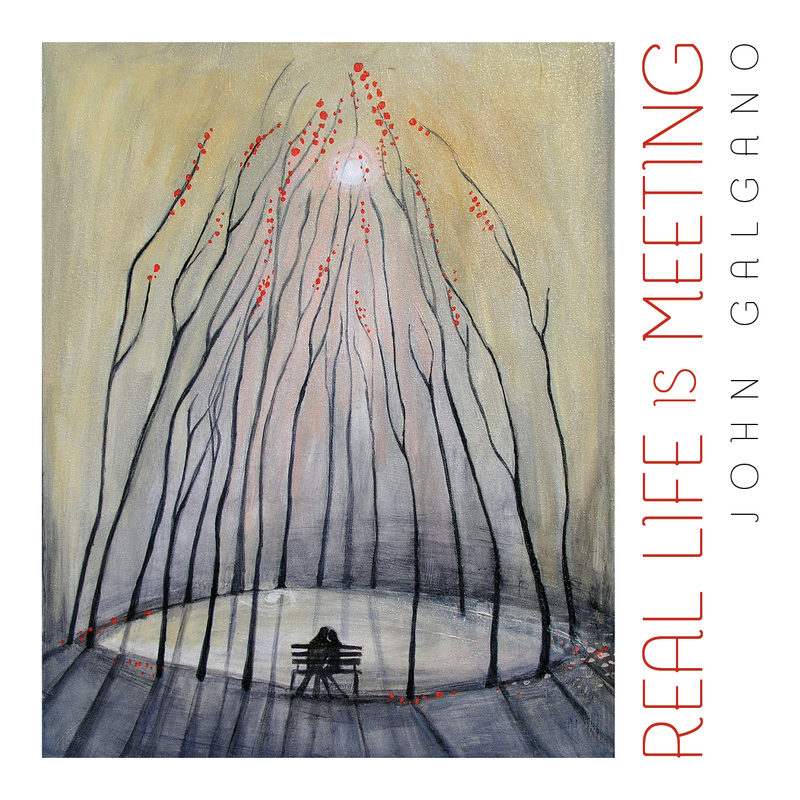 August 29, 2012 – New York, NY – Doone Records is pleased to announce the release of Real Life is Meeting, the debut solo album by John Galgano. John Galgano is a founding member of art-rock group, IZZ, and has been one of the band’s primary songwriters throughout its career. Real Life is Meeting presents eight tracks varying in styles and instrumentation, from the catchy, art-pop flavor of “Bigger on the Inside,” to the experimental, synth-based “The Only Thing,” to the 19-minute piece “1000,” all the while taking the listener in unexpected directions. Real Life is Meeting showcases Galgano’s humor, his introspective and confessional lyrics, and his surprising song structures. In turns breathtakingly adventurous and heartrendingly beautiful, this music represents a musician and songwriter unencumbered by any preconceived ideas. The result is a fluid, naked, and daring collection of universal musings set to music – meditations on what it means to be human in the 21st century. Galgano also recently played bass on Renaissance keyboardist Jason Hart’s new release, I and Thou’s Speak. Galgano has performed with IZZ at many art-rock festivals in the United States and Canada and has played bass for Hart while serving as the opening act during two Marillion Weekends (2007, 2011). Real Life is Meeting will be available for purchase at Amazon, iTunes and all online music retailers.